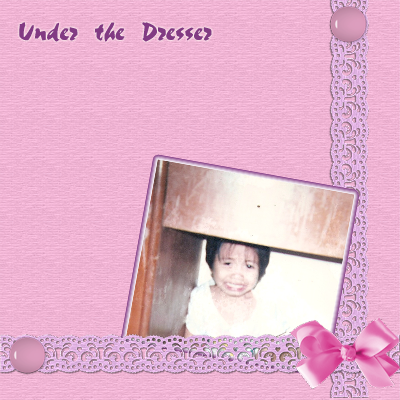 Kidding aside, I saw this picture at my baby girl’s unfinished album. She was 3 years old when we took this picture. We promised to take her to Jollibee but unfortunately that day was not “the day”. We didn’t have the budget for it. So she was already depressed but my father was kidding her with jokes. She got irritated and started a tantrum. We told her that she should stop crying or we will take a picture. But she didn’t stopped but ran under the dresser. When we saw her there, she was looked so cute crying under it and decided to take a picture. Then on the next day, she got what she had – a Jollibee Kiddie Meal!! This week’s benefactor is my good friend Mommy Genny. She has always been so generous. Below are the prizes at stake. Thanks for visiting my entry. Have a great Saturday and Sunday everyone! OO nga Mommy Ruby, magkamukha kayo daughter mo. Kala ko din po ikaw…:) nice one Mommy Ruby. hehehe, i won po 🙂 so happy!